The Holiday Season is supposed to be the most wonderful time of the year. All of those lovely family traditions from making cookies to decorating the tree. But for some of us it can be a season of feeling overwhelmed and stressed as we try to do meet everyone’s expectations and feel like we’re falling short. The good news is you can have that Memorable Family Christmas that you dream of, as long as you set a few guidelines along the way. Type your email address into the box below and you’ll get instant access to our downloadable eBook full of tips to help you get through the Holiday Season in one piece. 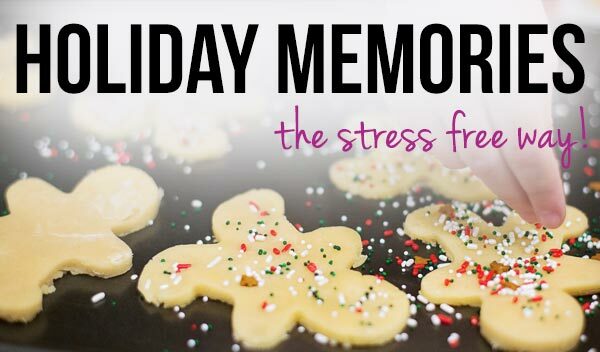 You’ll also receive an email every time we publish some new recipe collections, kid’s crafts and homemaking tips here at the Super Mommy Club, to help you maintain that stress free feeling all year round!